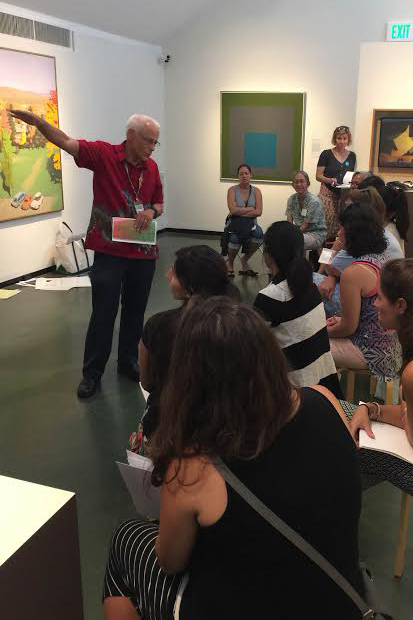 The Honolulu Museum of Art introduces a new education program—starting now, schools can host a Professional Development Day for staff and administrators at the museum. Museum educators will collaborate with an interested organizer from your school and provide participants with a half– or full–day workshop in the galleries, including strategies for visual literacy. A hands-on art project and visit to our Lending Collection can also be arranged as part of your experience. Email gro.muesumululonohnull@elgnej for more information.